Germany launched a huge offensive on the Western Front in a last gamble to win the war. 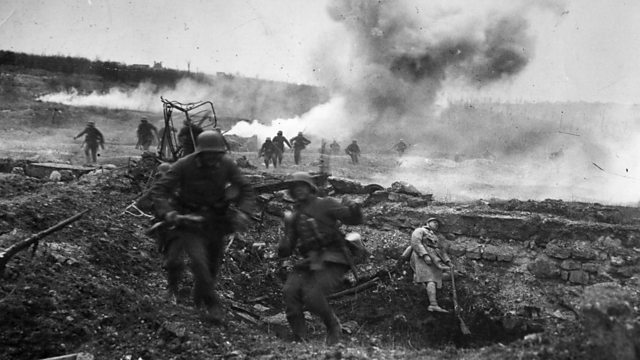 In early 1918, Germany launched a huge offensive on the Western Front in a last great gamble to win the war. Following Russia's withdrawal from the war, Germany could move up to a million soldiers from the Eastern Front to the West to launch a decisive attack. Their plan was to break through British and French lines and force an end to the war, before American power could bolster the Allied cause. They came close to succeeding. Using recordings from the BBC Archive, we hear from German and British soldiers who faced each other in the spring of 1918.